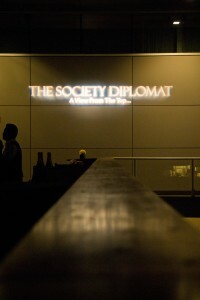 The Society Diplomat, the brainchild of bRILLIANT magazine co-founder and all-around bon vivant Lance Avery Morgan, chose the perfect location to host its “Palm Springs meets Texas” soirée on a recent wind-swept evening. Scores of friends and admirers enjoyed a Champagne bar hosted by Veuve Cliquot and cocktails from Belvedere, all while mingling on the upstairs balcony at the W Austin in a desert oasis produced by “it girl” event designer Camille Styles Moore. Bravvo took over the decks as the sun set over City Hall and the hills to the west. More than one conversation about plans for summer escapes to Aspen, Nantucket and Santa Barbara were overheard, lending a chic touch to an already chic evening! Floral Design: Mandarin Flower Co.